If I told you that the Model T back in 1908 was able to generate 25 miles per gallon (MPG), you’d think I lost my marbles, no? Well, truth be told, the Model T, one of the pioneering vehicles (along with Chevrolet’s Series C Classic Six), did just that. Granted, the top speed was only 45 mph and the horsepower was paltry in comparison to today’s vehicles. But still, that’s quite the achievement when you have certain cars, most notably exotic vehicles, whose MPG is lower. And while today’s cars are much more advanced with engine builds, electronics and other inner workings that churn out immense horsepower, drivers are still shopping with fuel efficiency being one of many factors in the process. Certain brands have made great strides in having models average or go above 30+ MPG, whether it’s a Chevy Cruze or Toyota Prius or Nissan Juke or what have you. And the introduction of electric cars and hybrids plays well into that mix and will make those averages go even higher in the coming years. But for drivers with cars with lower MPG ratings, maximizing every bit of it becomes key. And given the limitations over hybrids, there are still plenty of ways to keep your car as fuel efficient as possible. From how you drive to how it’s maintained, here are some tips to remember along the way. 1. Tone Down Aggressive Driving Habits: Aggressive driving isn’t necessarily “driving angry” as much as it’s the manner in which we do it. You can still be angry and drive with caution (although I don’t recommend that for the sake of your blood pressure). But really, aggressive driving is all about putting unnecessary strain against your car by constantly speeding, last-minute braking, braking harder than usual, slamming on the gas pedal from a dead-stop and so on. Most drivers think that just because they might have a car that achieves 35 MPG when their previous car only topped off at 20 MPG that it’s okay to drive with a little more flair (see: aggression). However you cut it, it’s a bad mentality to have because demanding more from your car requires more fuel to be burned than usual. 2. Attentive Car Care: Hitting yearly goals with your car’s maintenance is one of the easiest ways to not only have a healthy engine, but to preserve your car’s MPG numbers. Having a healthy, functioning muffler creates less blockage for your vehicle’s emissions. Proper alignment puts equal pressure on the car and doesn’t require extra energy to be exerted because one side feels more weighted than the rest. A healthy oil filter and oil level…well, we should know what that means for the engine. The best way to keep your car’s long-term health in check goes hand-in-hand with optimal MPG. 3. 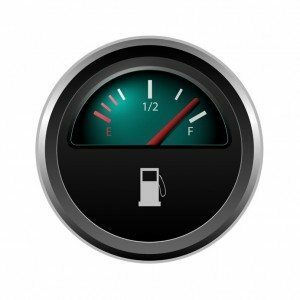 Gas Cap Conditions: A relatively easy fix that can go unnoticed, gas caps are important for sealing in gas, but more so for preventing gas fumes from escaping. Look to ensure the cap tightens just as it should and doesn’t have any loose grooves in it. And besides, this is probably the quickest (and cheapest) fix for your car. 4. Cut The Fat From Your Car: Remove any and all unnecessary items from your trunk or backseat that serve no purpose but to put added weight on the car. Think of it as “spring cleaning” and your MPG efficiency will be rewarded. 5. Fix Dents: Some of us drive around town with minor blemishes or scratches along the car’s exterior, when sometimes those dents can detract the vehicle’s performance. Especially if it’s a loose bumper that disrupts wind resistance, essentially making your car have to push itself a harder and taking a chunk out of the MPG standard in the process. To wrap things up, I’ll share one last point on why speed limits used to be lower. My mother once told me that the speed limits in her town were 55 miles per hour on the interstate, not just because of safety but because it was in place to keep fuel efficiency as high as possible. That’s because most engines seem to exert more power beyond the 60 mph number. Even with the most modern tech in our engines, that mantra rings true today. Which is why practicing on becoming less aggressive behind the wheel, along with staying on top of routine maintenance, can help maximize our car’s MPG standards in the end. Author Bio: Kyle is a freelance writer and automotive enthusiast who regularly writes on car care tips, vehicle comparisons, driver safety and has consulted for a local Chevy Cruze dealer in KC, Cable Dahmer. I think I need to do some Spring Cleaning to my pick-up….now I have a good reason to do it! lol Great article Kyle, thanks for posting. Ha, you and me both :). I just realized I’d been driving nearly 6 months with golf clubs in the trunk and forgot to put them in the house. It’s probably better I don’t know exactly how much I could’ve saved in gas (whether it’s $10 or $100). Thanks for the kind words!